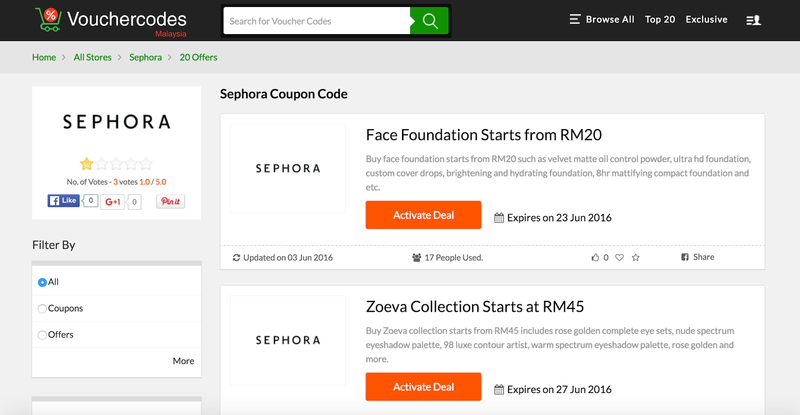 Carinn; carerynn | Malaysia Fashion, Beauty & Lifestyle Blog: Shopping: Shop & Save at Sephora with VoucherCodes! Shopping: Shop & Save at Sephora with VoucherCodes! Mid-year Mega Sales are around the corner, and all the brands you love are coming up with great sales! I myself have been shopping on Hermo and Sephora lately, too cray cray to stop x.x On top of these discounts, there are some ways to save even more money - did you know that? 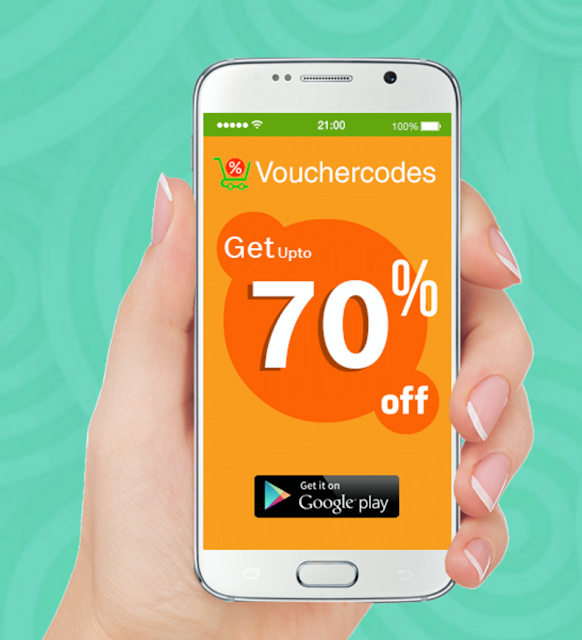 Even on normal days without sale, you can save UP TO 70% OFF by downloading the VoucherCodes app or just logging on to their website! Lemme show you how it works. Shoogloo, a Singapore based Digital Marketing Group has started VoucherCodes, a company that offers diverse media elements to help generate transactions between partner merchant sites and customers in over 20 countries. 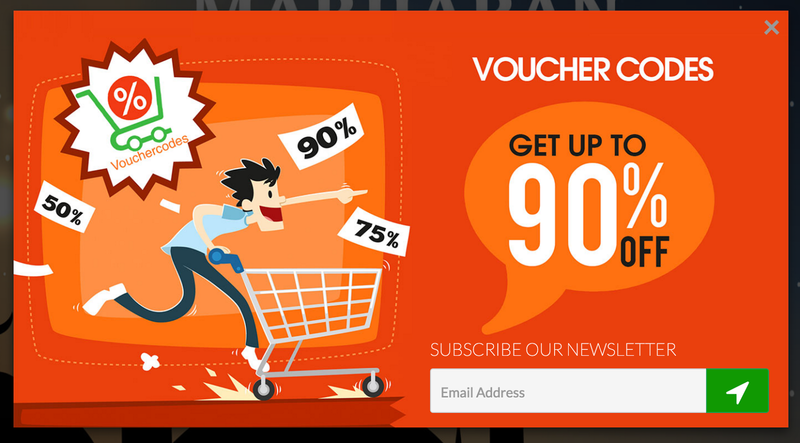 It's the website that customers should come to first before deciding to shop on a merchant site by providing them varied coupons and choices in their shopping experience - you can actually get up to 90% off by signing up with VoucherCodes and checking out the deals they offer before you visit the merchant site. Now's the perfect time to check out the website because Hari Raya is just around the corner and we all need new clothes & makeup for the new year, right? :p Don't forget to check out the many other categories that are on the site too including travel & holiday packages, F&B, electronics, consumer durables and even home furnishings! You can almost be certain to find customisable deals that suit your needs. Just some of the brands on VoucherCodes! Deals come & go every day, so you can check back on the site daily to see what new deals are up. There is even a section on the page that recommends you the Top 20 Vouchers & Deals so you'll know where to start looking. I did some research and found that some of the coupon codes and deals offered on VoucherCodes are not even mentioned on the merchant site at times. It just goes to show that you have to do your homework before you shop if you wish to get the best out of every purchase! For instance, I checked out the Sephora Coupon Codes and found that they actually have a deal on foundation from RM20 onwards! I personally like that the site lets you know when was the latest updated deal and it also states the expiry date of the current deal. So basically before you start shopping, head on over to VoucherCodes and check out the deal you love. You will then be redirected to the merchant site to enjoy the deal. Disclaimer: This is a sponsored guest post courtesy of VoucherCodes.